It’s May, and in the South, that means we’re gearing up for the end of the school year. While this time of year brings thoughts of summer and a well-deserved break, we all know that the last few weeks of school are hectic in the school library. 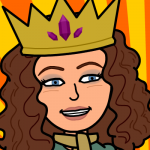 Books need to be collected, reading celebrations planned, awards ceremonies attended, summer reading programs rolled-out, and, of course, inventory completed. Part of preparing for inventory is weeding. Best practice dictates that weeding happens throughout the year, but sometimes the library gets busy and weeding gets pushed to the bottom of our unending to-do lists (at least this seems to happen to me). Regardless, running one more collection analysis and making one last sweep through the shelves is always well worth my time. My collection analysis quickly shows me areas to focus on (always the 500s, always). And, by the last few months of school, I have a better sense of which materials were used or not used by students and staff, and I have the circulation data to support what I’ve observed. There’s numerous weeding guidelines and criteria out there for school libraries. MUSTIE (Misleading Ugly, Superseded, Trivial, Irrelevant, Elsewhere) is widely used as part of the CREW method. I’ve always been a fan of Jennifer LaGarde’s FRESH, which emphasizes keeping the best books on your shelves that are inviting and relevant to your school’s students and staff. When I am debating about keeping a book, I ask myself if a student or teacher walked in and needed a book about this topic or wanted a book in this genre, would the book in my hand be one of my top recommendations? If it wouldn’t, it probably doesn’t need to stay on my shelves. While talking with other teacher librarians in my district about weeding, there’s some hesitancy to weed for two primary reasons. First, they worry if they weed there will be few books left on their shelves, especially in some nonfiction sections. I’ve found that students and staff actually check out more books when the shelves aren’t crowded with older, less appealing books. They can see and find the great books that will actually meet their recreational or academic reading needs. And, if some sections are thinner, that’s a great opportunity to point out the need for funding to an administrator. 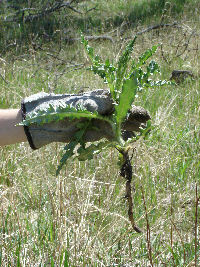 Weeding is an integral part of collection development. Selection and deselection go hand in hand. The second reason I’ve heard teacher librarians shy away from the extensive weeding their school libraries need is they worry about the reactions of their staff and administration when books are removed from the collection. Here, communication is key. I make a point to let my principal know that I’m weeding and send a quick email to my staff that explains the purpose of weeding and the criteria I’m using. We all know that weeding isn’t a random process, but those around us don’t. Often, books, especially fiction titles, can be offered to students and staff. At the end of the year, kids love to stock up on books they can have in their homes. The books with inaccurate or outdated information are typically donated to my art teacher for use in art projects. Weeding isn’t the most glamorous part of being a teacher librarian, but it does provide me a number of advantages and opportunities, especially at the end of the year. What weeding advice do you have for others as the end of the year approaches? I love weeding. I’m in a middle school. and last year I pulled a book called Playboys Guide to Ultimate Skiing. We weeded so much that were able to build a book throne for people to sit. Our biggest worry with weeding is being non-compliant with the books to kid ratio.